Styled with amelie skirt . 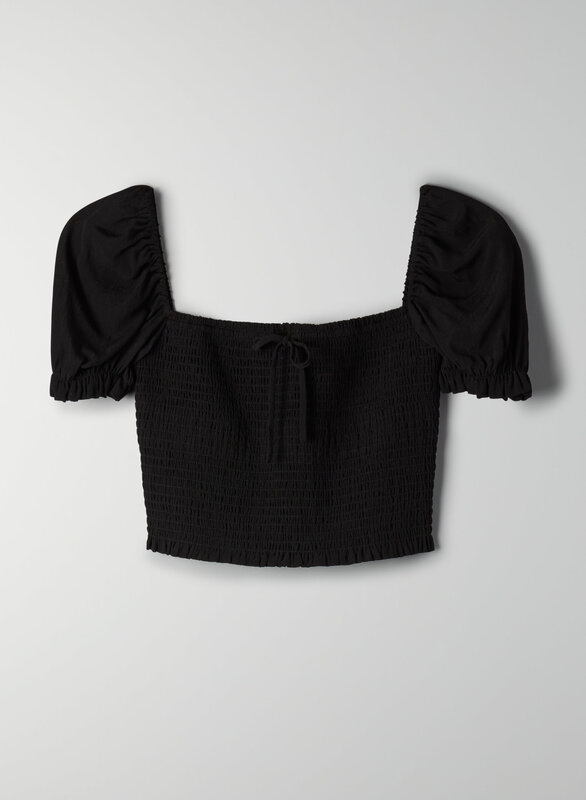 This is a smocked, princess-sleeve prairie blouse. It's made with a lightweight fabric that has a subtle pebbled texture.